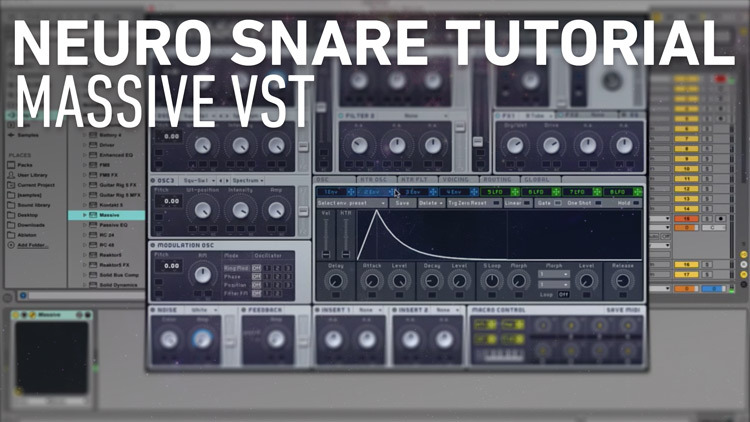 If you’re struggling to create your own neuro snare drums from scratch, this quick tutorial in Native Instruments Massive VST will get you on the right track. The snare drum in this particular example is a Drum & Bass, Neuro style sound and can be adapted to many music genres like trap, dubstep, hiphop, house and more. Artists like Noisia, Mefjus, Black Sun Empire, Teddy Killerz and Evol Intent all use these 200 Hz heavy snares to amazing effect. Once you understand the basics of what is going on you can adapt this to make this neuro snare drum in other VST synths to get some variation. Serum is another option that has more FX options and many more filters available to other types of bandpass filters. I’ve used this method for making some incredible snare foundations. Props to 20 Hz Records for showing us all how to neuro.